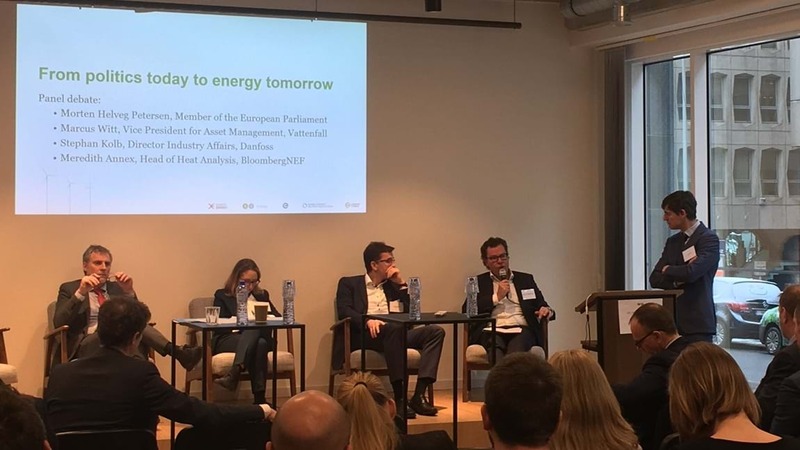 Businesses, politicians and experts gathered for a debate regarding the role of the energy sector in Europe at a conference organised by DI Energy in Brussels on 22 January. Climate will be a key topic at the upcoming European Parliament election, say two top politicians. This could benefit Danish companies in coming years. While the climate agenda has become increasingly important for Danish voters, it does not receive as much attention in the rest of Europe. This, however, is changing, say two Danish European Parliament members. “Public awareness regarding the climate agenda is definitely increasing. But the background for this increase is sad. 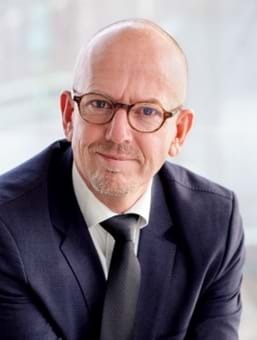 If we don’t do something radical, we will lose the climate battle,” says Morten Helveg Petersen, member of the European Parliament and top candidate for the Danish Social Liberal Party in the upcoming European Parliament election, which will take place on 26 May, 2019. The message is similar from Social Democratic MEP Jeppe Kofod, who is also the top candidate in the coming elections. “I’m glad that there is increasing awareness of the fact that we must act now if we are to ensure that the planet our children and grandchildren will live on is not destroyed,” he says. The two MEPs spoke at a conference regarding the heating and cooling sector organised by the Danish Energy Industries Federation, DI Energy, in collaboration with Eurelectric and Euroheat & Power, among others, in Brussels, in which around seventy opinion leaders and decision-makers from the European environmental and climate sector participated. Surveys from the EU’s public opinion programme Eurobarometer also show that climate change is a major concern for an increasing number of Europeans. Between spring 2018 and autumn of 2018, the percentage of Europeans who believe climate change is the most important issue facing the EU increased from 11 to 16 per cent. Today climate change therefore ranks higher than crime and unemployment on Europeans’ list of concerns. Meanwhile, the will to act upon these concerns is not equal amongst all Europeans. For example, Irish MEP Seán Kelly notes the prevalence of a not-in-my-backyard mentality among some of his countrymen, who are only in favour of green energy insofar as it does not negatively affect themselves or their immediate surroundings. “I admire and appreciate the way Denmark is taking the lead,” says Seán Kelly, who encourages the new parliament take a hard line on countries who fail to live up to the ambitious targets for climate action in Europe. “There should be no fooling around. The targets have been set, and they certainly shouldn’t be any less ambitious,” says Seán Kelly, who was among the speakers at DI Energy’s conference in Brussels. In June 2018, the European Commission agreed to raise existing targets for sustainable energy and energy efficiency in 2030 to 32 per cent and 32.5 per cent respectively – along with a 40 per cent cut in emissions by 2030. At the Confederation Danish Industry, the increasing focus on the climate agenda is cause for celebration. According to Director of DI Energy Troels Ranis, this can pave the way for increased revenue and more jobs at Danish businesses. Troels Ranis hopes to see the selection of fifty cities of strategic interest in Europe – about two cities in each EU country – for major investment in new, smart solutions for heating and cooling of homes and industries that play a central role if the EU’s climate ambitions are to be realised. According to Morten Helveg Petersen from the Social Liberal Party, the power of example is the way forward. Jeppe Kofod of the Social Democrats also sees major business potential. “We can become global market leaders, and we can export our technology to other countries. The climate agenda is something that concerns the entire world,” he says.